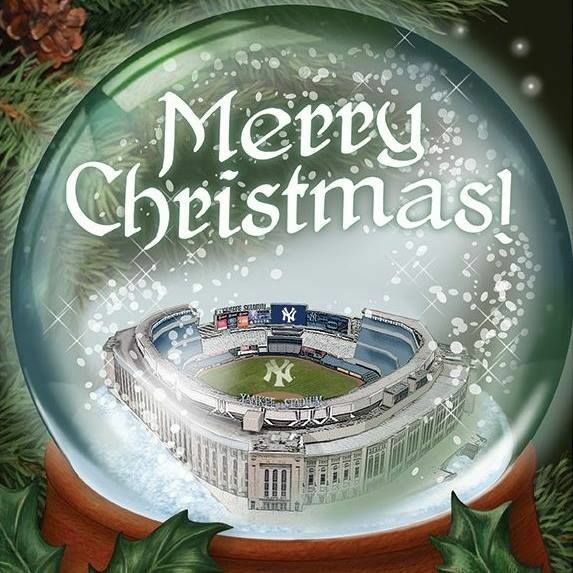 Merry Christmas from everyone here at The Greedy Pinstripes! It's been a heck of a year, at least for me, and truth be told I'm surprised I made it this far. The blog has done well, my baby boy turned four years old and my oldest boy started second grade at his school. A lot has changed in my routine and a lot has changed in my life but I truly think its all been for the better. We made it though, and that's all that matters. As we wake up this morning we see that Santa has been good to us this year, probably better than we deserve. We are truly blessed and we appreciate everything in our lives and everything we get from this blog. We have some of the best commentators, Twitter followers, readers, followers and fans. I've said it a million times but I only say it because I mean it. We are NOTHING without you guys and girls. Thank you, I truly mean that. Merry Christmas everyone! If you don't celebrate Christmas then Happy Holidays! No matter what you believe or what you celebrate we still appreciate your support and wish you nothing but the best this year and next.